You can add multiple external input files to a test case. After you add the files, select the one you want to use in the test case from the External Inputs table. If you are using test iterations, you can assign one input file to each iteration. 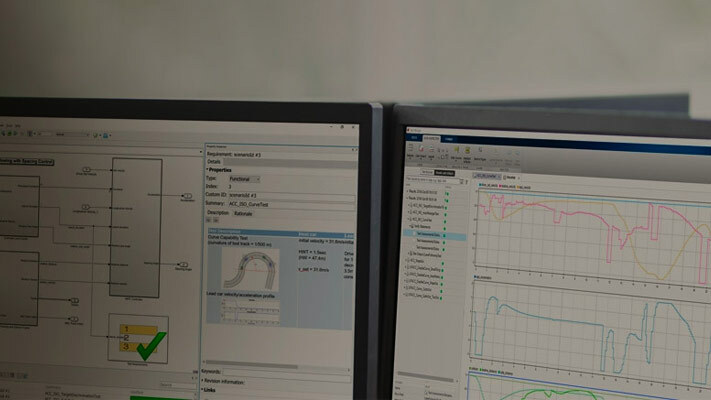 For more information about how Simulink® handles inport mapping, see Map Root Inport Signal Data (Simulink). Mapped — The mapping succeeded and no further action is needed. Failed — The mapping failed. Click the Failed link for more information. Stale — This status can occur when you update your external inputs in Test Manager. A stale state occurs if you did not map the new inputs. To address this status, click the Status link, which opens the Add Input dialog box. Click Map Inputs to map the new input data and then click Add. In the Attributes page, make sure all attribute categories that exist in the spreadsheet are displayed. Click Validate to map each input to the model by block name. If necessary, make changes to the spreadsheet and/or SUT and click Refresh and validate again. After a successful validation, save the test. The test case imports the spreadsheet. The fields defined in the spreadsheet are locked to the spreadsheet, and cannot be edited in the Test Manager. To change the locked fields, edit the spreadsheet outside of MATLAB®. 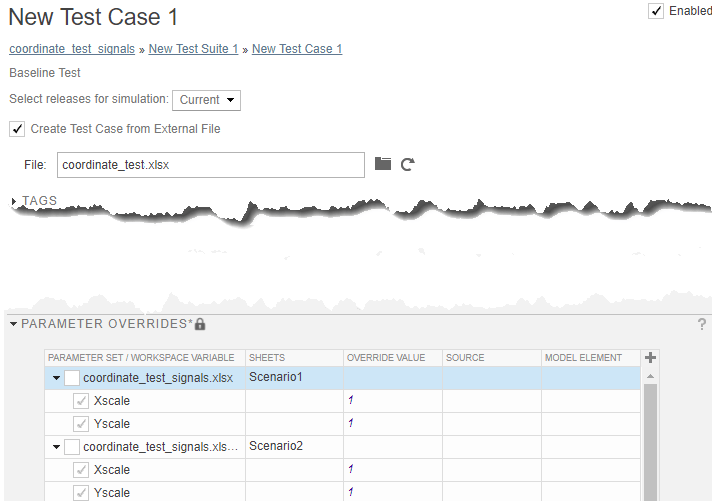 Check the Create Test Case from External File option. Browse for the spreadsheet with the test data. Edit the spreadsheet outside of MATLAB and click Refresh for the File field. Clear the Create Test Case from External File option and edit the test case in the Test Manager. Note that selecting this option again causes values in the spreadsheet to overwrite the values in the test. You can import Microsoft Excel spreadsheets to use as inputs. You can import multiple sheets at once and specify a range of data. Selecting sheets and specifying ranges is useful when each sheet contains a different data set or the same file contains input data and expected outputs. For information about the Excel file format, see Format Test Case Data in Excel. In the test case, expand the Inputs section and click Add. Browse to your Microsoft Excel file and click Add. Select each sheet that contains input data. You can specify a range of data. If you want to use each sheet to create an input set in the table, select Create scenarios from each sheet. Under Input Mapping, select a mapping mode. Click Map Inputs. The Mapping Status table shows the port and signal mapping. For more information about troubleshooting the mapping, see Understand Mapping Results (Simulink). Browse to the MAT-file and click Add. Under Input Mapping, choose a mapping mode. For information about troubleshooting the mapping status, see Understand Mapping Results (Simulink).